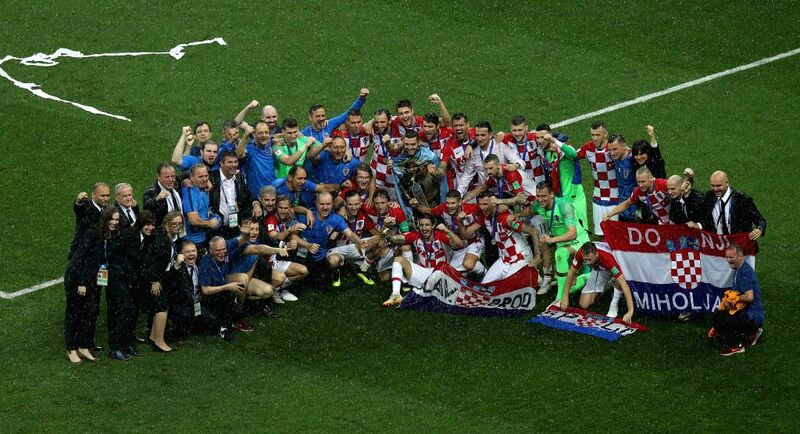 MOSCOW, July 15, 2018 - Members of team Croatia are seen at the awarding ceremony after the 2018 FIFA World Cup final match between France and Croatia in Moscow, Russia, July 15, 2018. 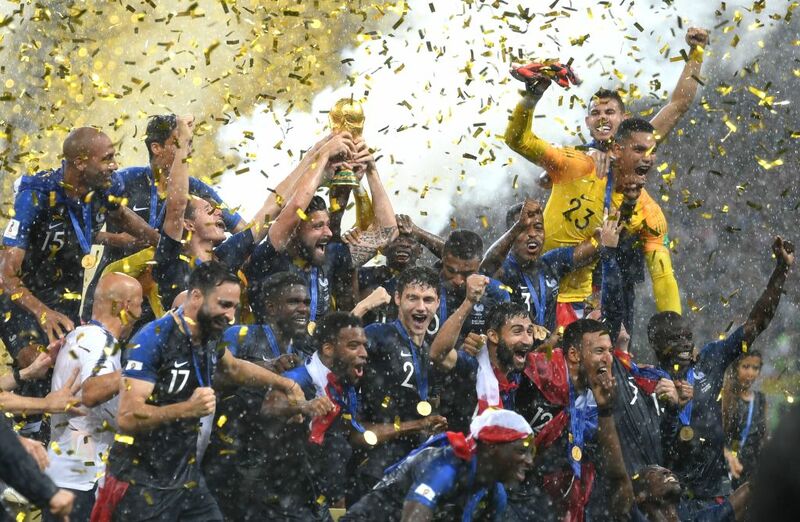 France defeated Croatia 4-2 and claimed the title. Luka Modric of Croatia greets the audience after the 2018 FIFA World Cup final match between France and Croatia in Moscow, Russia, July 15, 2018. 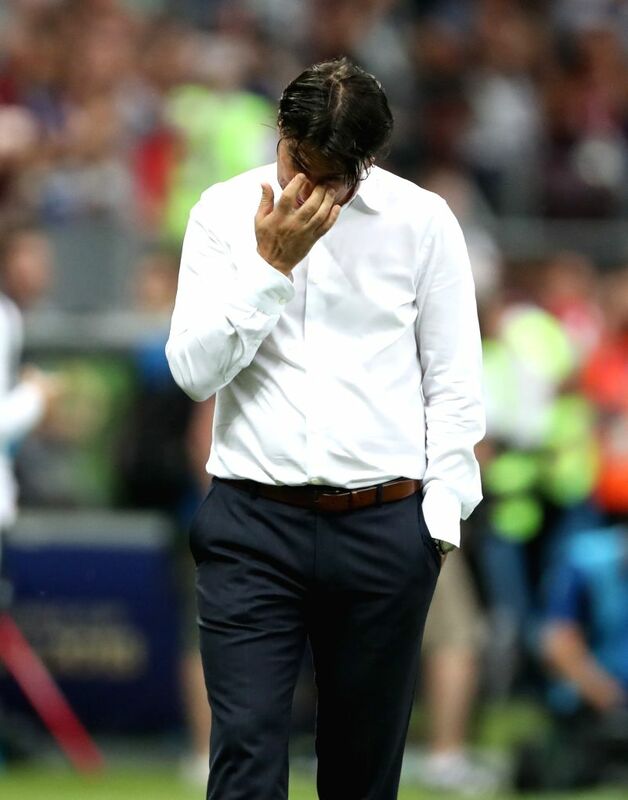 Head coach Zlatko Dalic of Croatia reacts after the 2018 FIFA World Cup final match between France and Croatia in Moscow, Russia, July 15, 2018. 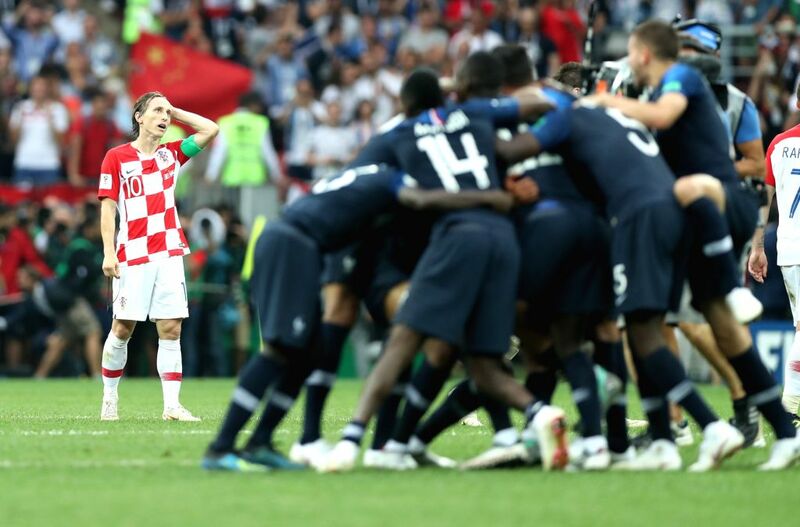 Luka Modric (L) of Croatia reacts after the 2018 FIFA World Cup final match between France and Croatia in Moscow, Russia, July 15, 2018. 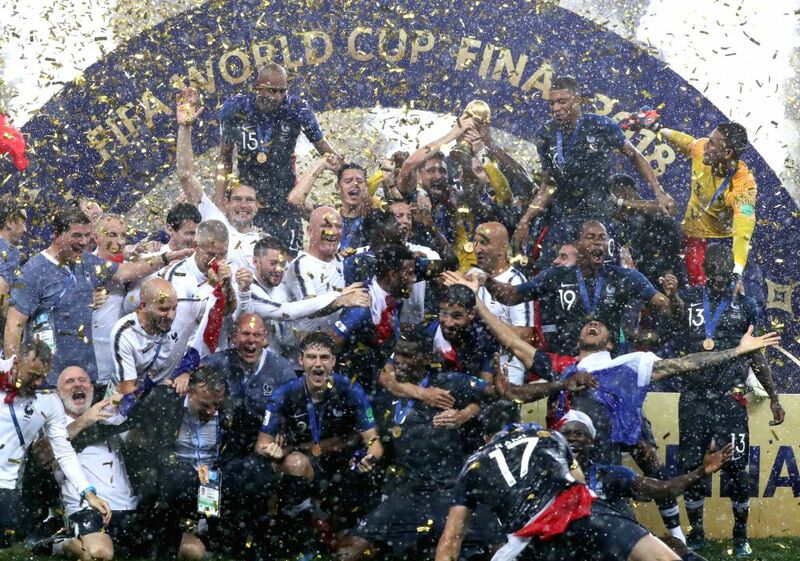 Players of France celebrate at the awarding ceremony after the 2018 FIFA World Cup final match between France and Croatia in Moscow, Russia, July 15, 2018. 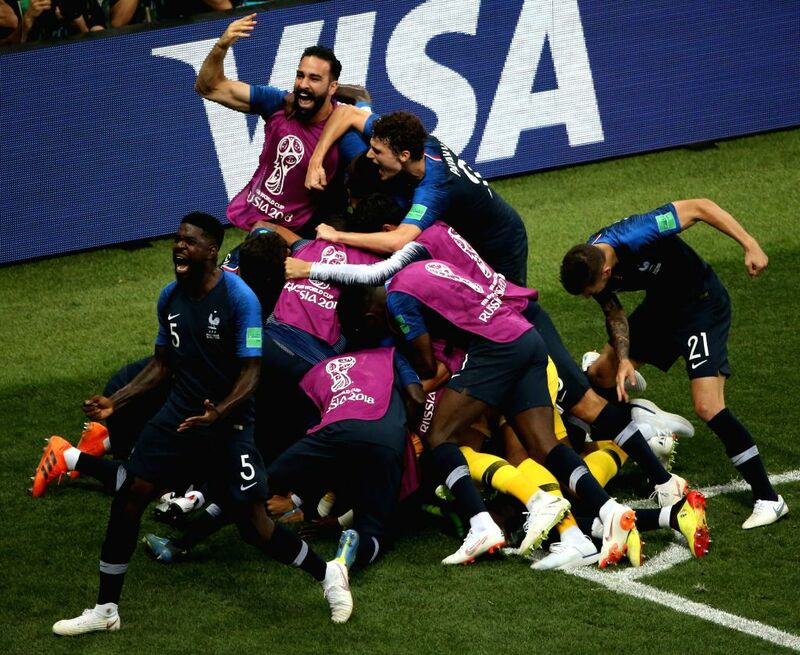 Players of France celebrate Paul Pogba's goal during the 2018 FIFA World Cup final match between France and Croatia in Moscow, Russia, July 15, 2018.